The former newbie vegan that I once was, believed that vegan caramel was a myth, sort of like unicorns or gremlins. However, the seasoned vegan that I am presently, who has weathered out the storm of the first vegan foods - which let me tell you, were much different than the cruelty-free delicacies that we enjoy today - continues to be amazed by the fact that anything is vegan-possible. 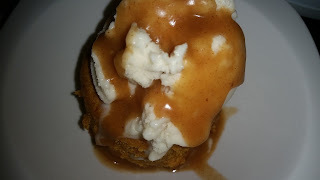 I continue to create recipes that not only shock my non-vegan friends and family, but also even surprise myself sometimes...pleasantly of course. The other day I made a delicious pumpkin bread that was really screaming "I am more like a blondie!" So, a pumpkin blondie it is. 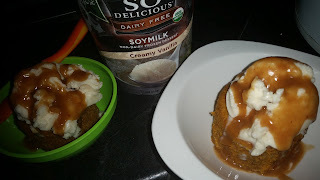 It isn't super sweet, but the ice cream and salted caramel sauce takes care of that brilliantly. 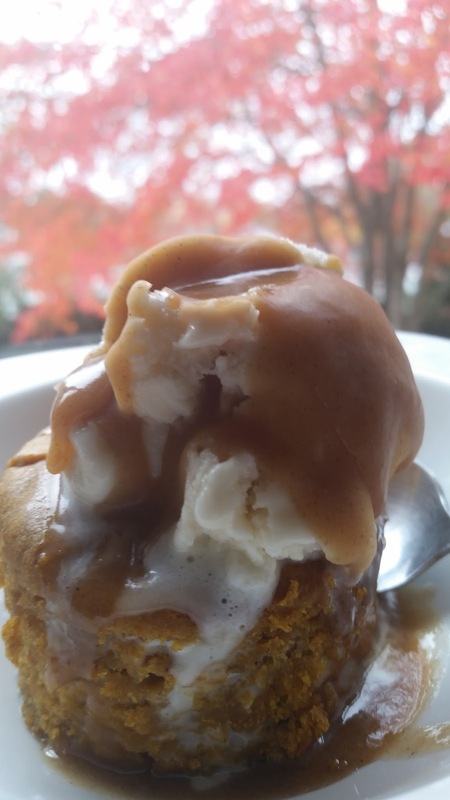 When this dessert is devoured as a whole, the warm pumpkin blondie, the scoop of creamy ice cream melting slightly on top, and the caramel sauce, feels like heaven in your mouth. You'll see. 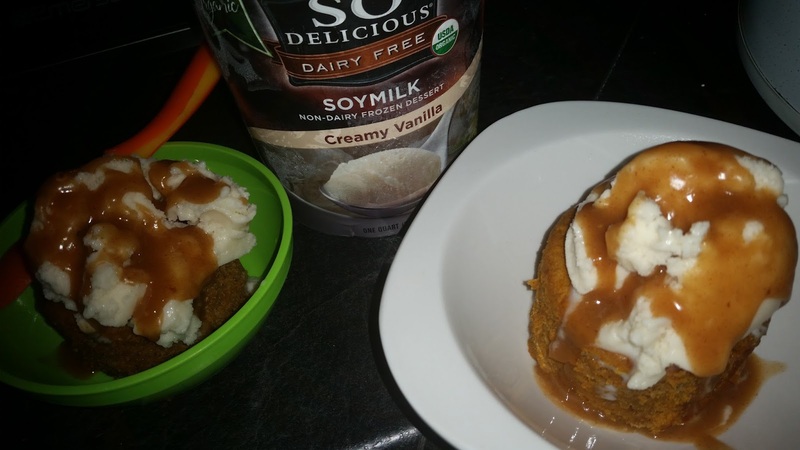 Scoop of vanilla vegan ice cream of your choice. I used So Delicious creamy vanilla and it was perfection in this recipe. Preheat oven 350 degrees. In a large mixing bowl, dump all of the blondies ingredients in and mix. Let's not make things difficult on ourselves. Pour the batter into a greased pan and bake for about 45 minutes or until toothpick test comes out clean. While blondies are baking, make your caramel sauce by heating all of the ingredients in a small saucepan on low, stirring constantly, then let cool. When blondies are done baking, allow them to cool enough to handle, then turn pan over onto a plate, and cut into whatever shape you like. I cut them into circles, just slightly bigger than my ice cream scoop. Scoop ice cream on top of blondie piece. 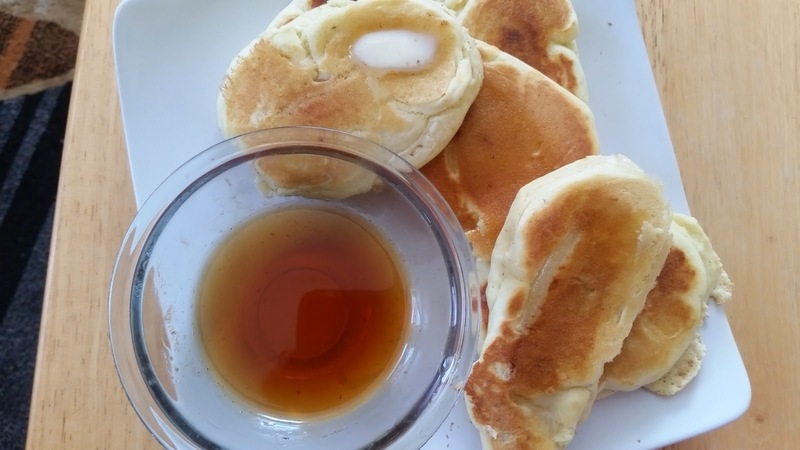 Drizzle with caramel sauce. Eat and enjoy! Enjoyed these with the kiddo...and she LOVED them just as much as I did! Let's Share Kids Stories Online! So, I thought of a pretty neat idea. Let's make videos of us reading our favorite kiddo books with our wee ones, and post them on YouTube. That way, we have a community, and essentially a library, of children's books to watch with our kids when our very own selection seems to be getting stale. That way our children can have the luxury of hearing all types of stories, from all around the world. My daughter has quite the collection of books, so I will start posting videos of us reading them. Please do the same! I will try my best to tame my Italian accent. However, I will not hold back on the sillies! Silliness is simply the best. If you aren't a parent, you can still participate. Just record yourself reading a favorite from when you were a child. Can't wait to see these videos! Cheers! 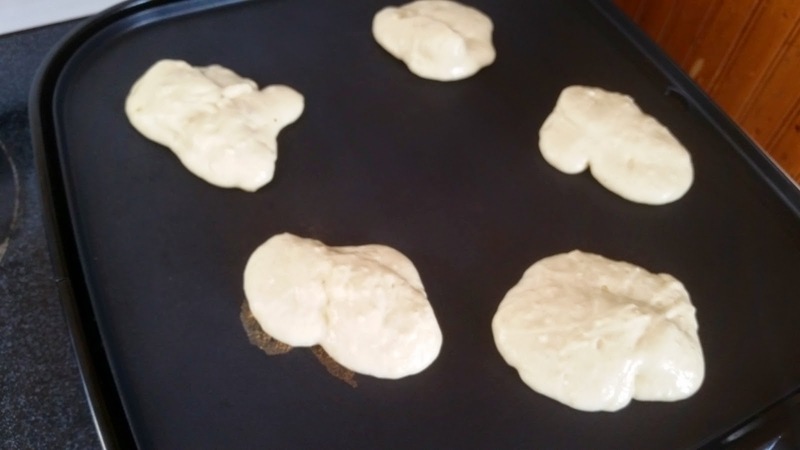 Breakfast Banana Bites: Toddler Approved! Any parent knows that getting a toddler to eat, especially around that molar-teething phase, is a full time job in itself. If you have a toddler like mine, who yells "cupcake!" in poo-poo protest of my delicious and nutritious full course meals that I serve, you have to get inventive. I am betting that you'll appreciate this recipe for banana bites. These breakfast bites are not just for kids... and not just for breakfast either. You can make these anytime, for anyone. Dipped in warm maple syrup, they are a delightful addition to your day. Toddler and mama approved! Slice your bananas in long horizontal slices, try to keep them thick enough to handle without breaking, but thin enough to warm nicely, about 1/4 to 1/2 inch. Then make your batter by mixing the rest of the ingredients. 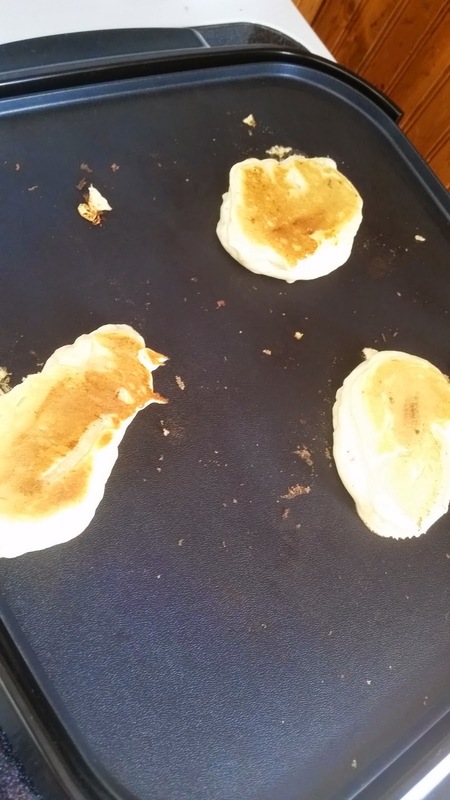 Dip your banana slices into the batter and place on your preheated griddle. Grill each side for about 1 minute, or until you see tiny bubbles in the batter. 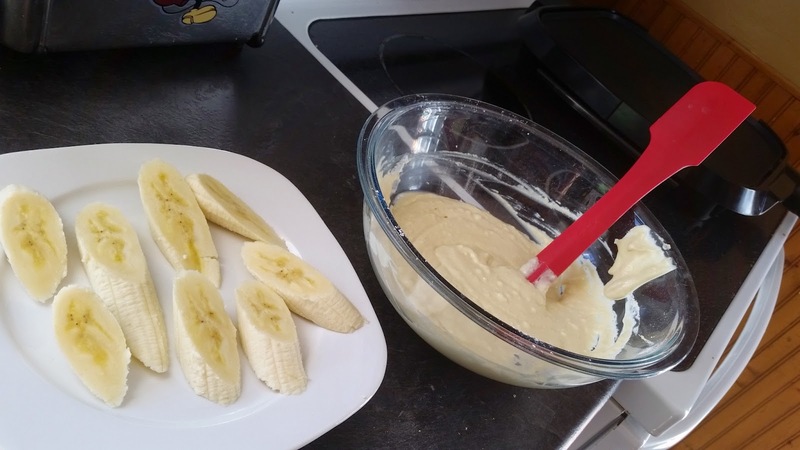 Keep doing that until all of your banana slices and batter are gone. 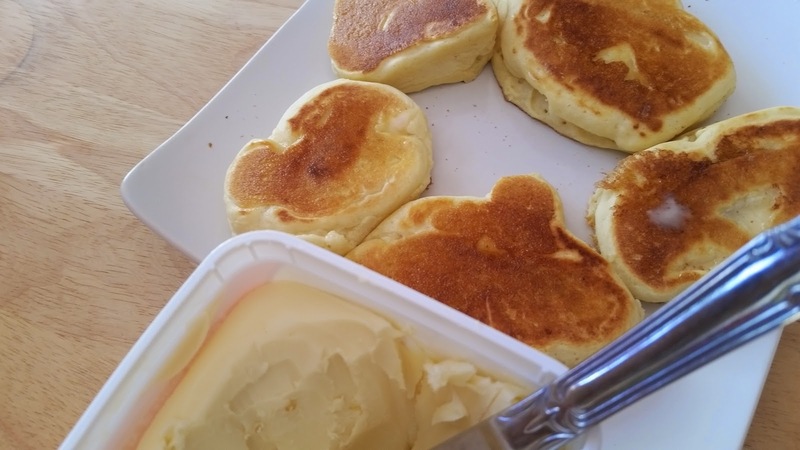 Butter your bites when they come off the griddle and place them onto a plate while you're doing this. 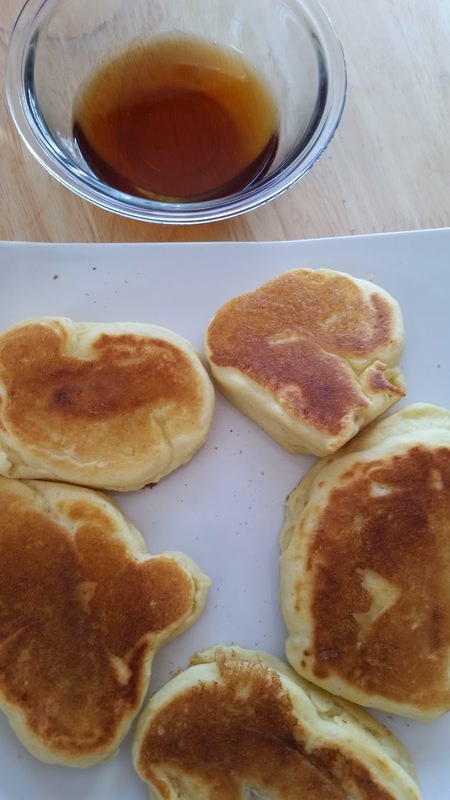 Once you are finished griddling, warm up some maple syrup for dipping. 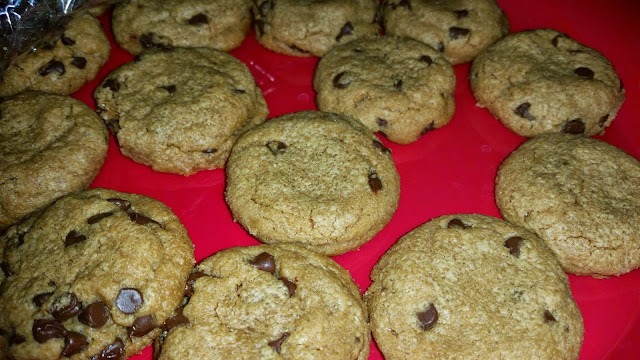 Amazing 4 Ingredient Vegan Peanut Butter Chocolate Chip Cookies! The concept of peanut butter cookies has always baffled me. You know, the true flourless peanut butter cookies that you probably made in home ec. class when you were a kid. Not only did the recipe perplex me then, but even more so as a vegan. Now I understand that eggs played an important role in that recipe from home economics. When we were challenged to perfect the recipe for eggless, flourless, 4 ingredient, vegan peanut butter cookies, we jumped at the chance, as well as added chocolate chip cookies. Peanut butter is awesome... combined with chocolate, it is perfection. You must try this vegan cookie recipe. It is life-changing. Plus, you won't believe that there isn't flour involved and that this took just 4 ingredients. We still can't believe it, as we are eating the entire batch right now! Preheat oven 350°. Combine all ingredients. Form into balls using 1 tablespoon of dough per cookie. Place dough balls on greased cookie sheet, about 1 inch apart. Flatten slightly. Bake for 12- 15 minutes or until cookies are slightly brown, firm, and no longer doughy. Let cool then transfer to wire rack to cool completely. Enjoy!